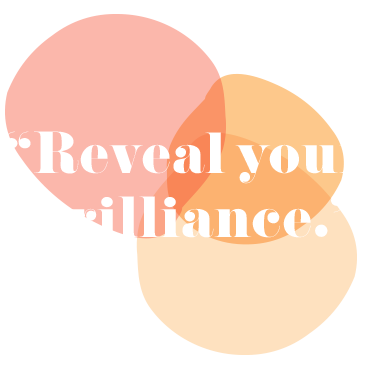 Julie Gaver Discovery | Reveal your brilliance. Within every person lies an amazing gift they can share with the world. Whether you are just starting out in your career, on a team working towards the same goal, or looking for connections in a different stage of life - relationships are everything and everyone has something to bring to the table. No matter where you are in life, everyone needs a little guidance sometimes to become what they want to be. A support system of friends, mentors, and peers can tell what you need to hear, design a plan of action, and help you develop and grow as a person. Connecting people and guiding them along the way is what gets us pumped up every single day. 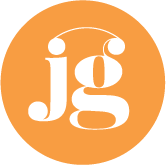 Through events, presentations, adventures, and workshops, Julie Gaver Discovery connects people with themselves and others, giving them the tools to blossom. Unite your team together to design a plan for the future. Improve company culture, team morale, and reimagine what the future looks like for your company with one of our workshops. 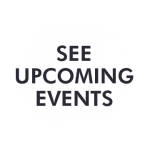 Attend one of many events, workshops, and retreats throughout the year to build connections with women from all walks of life, create friendships and continue lifelong learning. As a woman in transition, your kids may be grown or you may be moving on from your career, so what’s next? There is still so much left in you and we want to help you bring it out. 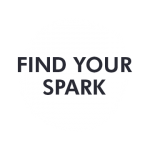 Join us for an event, workshop, or retreat to spark what burns inside of you. It’s time to get fired up about what lies ahead. Let go of your doubts and believe in you. It is your time to uncover your real, your honest, and your joy to discover who you really are. You already have everything you need to go out and make your mark on this world. All you need now is someone to help you find out what is possible, so what are you waiting for? Spark what burns inside of you. Connect and build a support system. See how we have helped these clients discover their brilliance. I have attended several of Julie’s events. She has never disappointed me. There is a sense of caring, energy, and commitment that always comes through. Julie is always well prepared and treats each and every person as a unique guest. Soles of Love is particularly special. The attendees are decked out in beautiful colors. The food is tasty. The atmosphere is fantastic. And so many children benefit from the event. Thank you, Julie, for all you do. Julie listens more carefully, notices the meaning behind the words, grasps the dynamics of any group, and leads by example far beyond the norm. She is by training, nature and sheer will, a model of leadership with an uncommon modesty born of solid core values. She speaks truth to power, love to strangers, healing to pain and hope to the hopeless. She is a gifted voice of can-do against the relentless forces of self- doubt and lethargy when life seems just too much to handle. I’ve been fortunate to attend events where Julie was the presenter. She is deeply committed to providing her clients with superior professional service. Her clear concern for them is recognized by clients, earning her their deep respect, while her warm personality is earning her their friendship. When I grow up, I want to be just like Julie Gaver. Her enthusiasm and outlook on life inspires me to want to do better, to be better, at my job, at work relationships and at finding meaningful solutions for all parties involved. I wish all employees had a chance to attend Julie’s sessions. The training I received from you about the different personality types has helped me in many ways. It has made going to work every day so much better because of the knowledge I now have. The venue was spectacular! I really enjoyed the meetings where we were outside; I could have sat there for hours! I enjoyed getting to know and trust the women around the table with similar objectives, different circumstances, and an experienced facilitator to keep us on track. Julie provided a very safe, and productive program for introspection. Leave your rose-colored glasses at home!